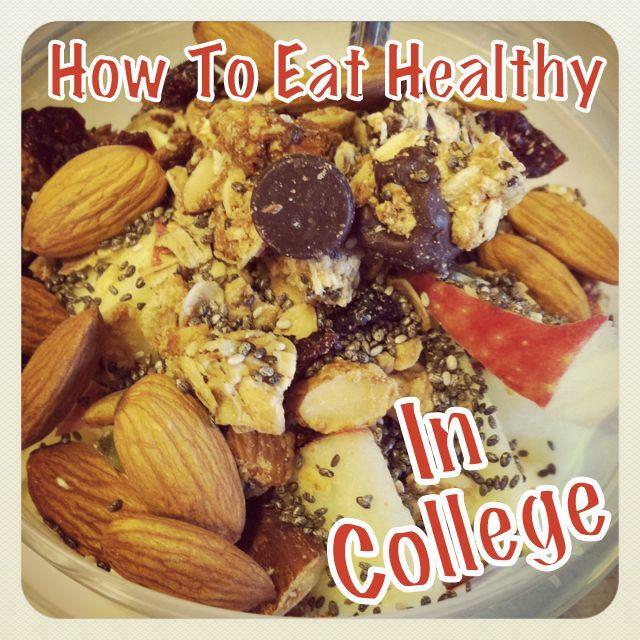 Wondering how to eat healthy in college? Here are some tips, tricks and recipes for eating healthy in a college dorm. *Note- This post was edited and updated 1/2015. Added information is in red. Last week I had the opportunity to give a little presentation for the ladies of CHAARG, a group of amazing women at Ohio State. CHAARG stands for Changing Healthy, Attitudes & Actions to Recreate Girls that was founded at Ohio State by Elizabeth Tavierne and Emily Richard. I was so honored when they asked me to come speak to their group! They pretty much gave me free reign, so I spent some time really thinking about what I wanted to talk to them about. I settled on discussing how to eat healthy in college. I decided to give a talk that I wish someone would have given me when I was in college. I wanted to cover the basics of healthy eating, give them lots of ideas and inspiration, and show them what a wide variety of food you can prepare, even if you’re living in a dorm room. I figured this would appeal to the masses because if these things can be made in a dorm room, with minimal equipment and a mini-fridge, then they can definitely be made in homes and apartments with even more space and equipment. So, the evening went really well. The girls were so much fun! 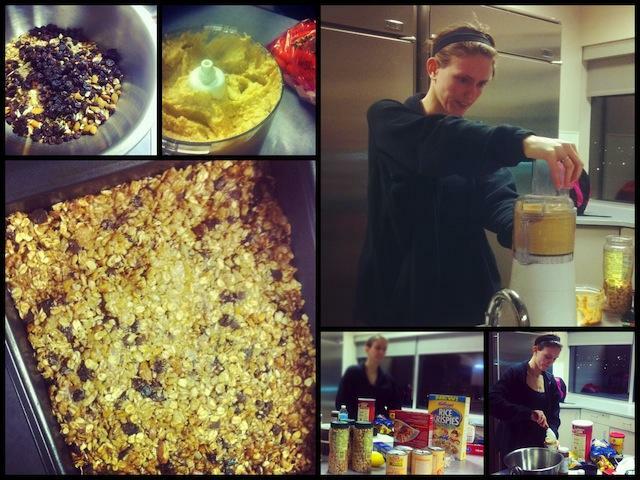 We rented a room in the union on campus and spent about an hour and a half chatting and whipping up some tasty snacks! I thought it’d be fun to share my presentation with you guys! I told them about myself and about how when I went to college the first time, we had to live on campus all 4 years. We only had apartments for our senior year. That means I spent 3 years living in the dorms. 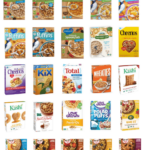 I just WISH I had thought about making some of these snacks when I lived on campus, instead of living on cereal and easy mac for 3 years, or that I had thought to stock my mini-fridge with something besides party supplies. Hot oats – Microwave ½ c. oats, 2/3 c. water for 2 minutes. Top with 6 oz. plain greek yogurt, ¼ c. granola, 1 Tbsp chia seeds and 1 medium apple diced and you have a breakfast packed with 20 g. fiber, 26 g. protein. Overnight oats – Mix oats, milk, fruit, chia seeds and nut butter. Let sit overnight. Grab & go in the morning. No-bake granola bars – Combine oats, brown rice syrup or honey, cereal and your favorite mix-ins for a healthy snack. Oats in a smoothie – Add cooked oatmeal or uncooked oats to your smoothies for some extra bulk and fiber. Bread – Make sandwiches (like sliced turkey or tuna salad) or toast (try topped with peanut butter & banana). Wraps/pitas – Use these to make hummus & veggie wraps, falafel, or burritos. Cereal – Enjoy with milk for breakfast and snacks. Hummus – Endless flavor combinations at your fingertips! Enjoy with veggies, crackers, or on sandwiches. Dips – Try curried sweet potato & red pepper dip with crackers for an afternoon snack. 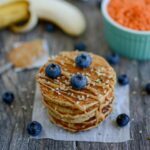 Nut butter – Can be made in a blender or food processor in minutes with minimal ingredients and you can customize it to your taste preferences with different nuts and mix-ins. Tuna/chicken salad – Use low-sodium canned tuna or chicken packed in water. Mix in a small bowl with mashed avocado, hummus, or Greek yogurt instead of mayo. Add your favorite spices (try curry powder or cayenne pepper) and some chopped veggies, like onions and peppers, to bulk it up! Deli meat/rotisserie chicken/pre-baked tofu – These are easy to add to wraps and sandwiches. Hard boiled eggs – In the microwave, bring water to boil. Then, add eggs and cook on low power or ½ power for 8 minutes. Let stand a few minutes more. Scrambled eggs – In the microwave, cook for 2 minutes, stir, and cook another 2 minutes. Salad in a jar – Portion out enough lettuce/spinach/mixed greens, complete with chopped veggies and a protein source, for the week and store them in mason jars or tupperware. Add the dressing to the bottom first to keep everything else from getting soggy. When you’re ready to eat, just shake it up and dig in! Microwave sweet potato – Poke a sweet potato with a fork or knife all over, microwave for 5-6 minutes, top with nut butter, or beans and veggies and enjoy for lunch. Raw veggies – Try dipping in hummus or guacamole! Bananas – Buy in a variety of stages of ripeness to enjoy throughout the week. Apples & oranges – These make easy grab & go snacks. Berries – Top your oatmeal bowls with them or mix them into Greek yogurt for some natural sweetness. Milk – Choose dairy or non-dairy. Greek yogurt – Enjoy with fruit & granola. Mix a spoonful or two of the flavored kinds into plain for just a touch of sweetness. Cheese – Put on top of salads and sandwiches or eat plain with crackers or veggies. Salad Dressing – Make your own dressings with oil, vinegar, and spices to add flavor and healthy fats. Nuts – These are full of protein and healthy fats! Enjoy a handful each day at snack time. Avocado – This makes a great topping for salads and sandwiches. Also, mix it into smoothies for added creaminess. Embrace the bulk bins! You can buy the quantities you need, often more cheaply than if you buy the pre-packaged versions of nuts, seeds, and grains on the shelf. Nuts & seeds – Use these for added flavor, nutrition, and texture in granola bars and trail mix. Flax seeds and chia seeds – Sprinkle these on oatmeal or yogurt for added omega 3’s and protein. Chia jam – Mix 2 Tbsp chia seeds, 1 c. berries, a dash of vanilla extract, and a pinch of sugar. Microwave for 2 minutes, stir, and let cool. Try spreading it on your toast! Store bought bars – KIND bars, Luna bars, Larabars are some good options. Homemade fruit & nut bars – Make your favorite Larabar flavors at home! After I finished talking, we moved on to the fun part: making food. Earlier in the week, I sent over a list of some ingredients I would need them to pick up, and on the day of the presentation, I packed up a few of the ingredients I already had on hand (like tahini and brown rice syrup) and showed the girls how to make 4 easy snacks. These are totally customizable! 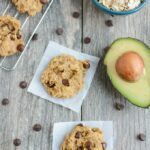 Choose your favorite mix-ins, slice into bars or squares, and store in an airtight container or individually wrap with plastic wrap and store in the fridge! In a separate bowl, microwave the brown rice syrup and peanut butter until melted. Add the liquid to the dry ingredients and mix well. Use your hands if you need to! Press into a 9×13 pan and refrigerate until set. Use your favorite nut and experiment with mix-ins like honey, cinnamon, raisins, cocoa powder, etc. Process for about 5 minutes or until desired consistency is reached. Add the honey and cinnamon and pulse a few times to combine. Start with a basic recipe and make it your own with mix-ins like roasted red peppers, cooked sweet potato, garlic, cayenne pepper, etc. Poke the sweet potato and microwave for 5 minutes to cook if using. Add the chickpeas, reserved liquid, juice from the lemon, garlic and tahini to a food processor and process until smooth. Add the sweet potato (skin removed) and pulse to combine. Season as desired (try paprika or cayenne pepper for an kick! Make your favorite flavor of store-bought bars at home with just a few ingredients. Place the dates and raisins in the food processor and process until they are well-combined and resemble a paste. Remove and place in a small bowl. Place the peanuts in the processor and pulse until chopped. Add the peanuts to the date mixture and use your hands to combine. Divide mixture into thirds, place one third on a piece of plastic wrap. Use your hands to shape into desired bar shape. Repeat with remaining mixture. 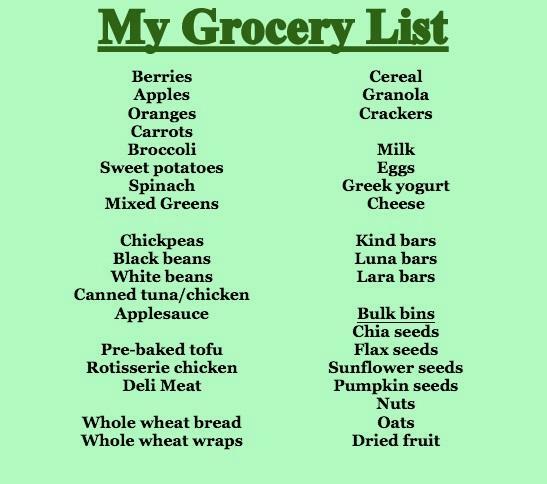 Here’s a grocery list to get you started! So let’s hear it. How was your diet in college? 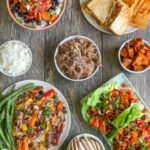 It IS possible to eat healthy in college – and @leangrnbeanblog will show you how! 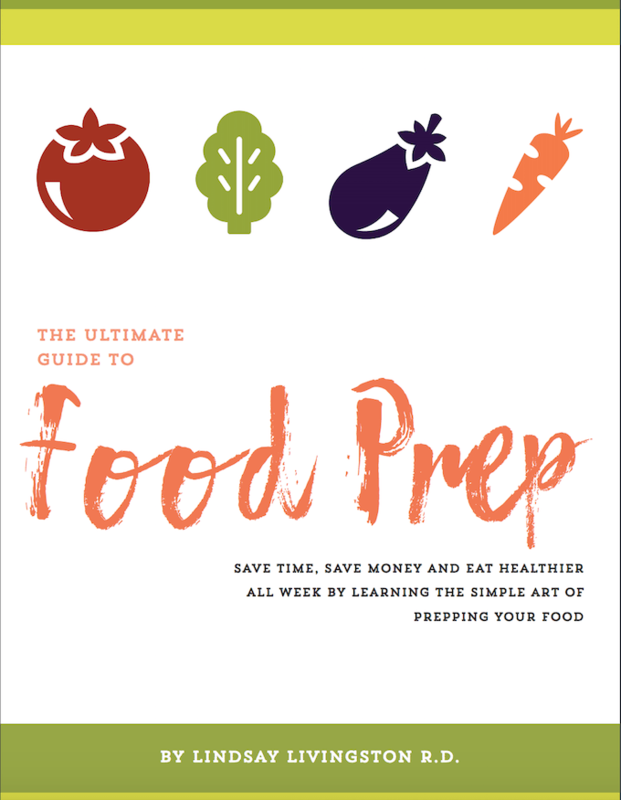 If you liked this post, you’ll love my ebook – The Ultimate Guide To Food Prep. It dives into detail about how to food prep (yes you can do it in college), troubleshoots common problems and provides tons of tips to make it easier! Click the image below for more details! I think they should have this in the new student guides!! Great ideas and list!! right???? a decade ago-SUPER healthy. this is great! my followers will love this… pinning! My diet in college varied. Freshman year, I was clueless and ate pretty unhealthy foods. Summer after freshman year, I started counting calories and would only eat about 1200 calories a day (horrible, in my opinion) and those calories were usually from things like TV dinners and pudding snacks. Finally junior year, I started doing more research and feeding my body properly. Then I went super-healthy (like many of you super-healthy bloggers! ), but honestly, I didn’t enjoy eating that healthy either haha. I think I’ve finally found a balance that seems to work for me! I wish I had been this conscious in college. My diet was horrendous… and I gained the Freshman 20 to prove it. Oy. Great post! I’d love to do things like this once I get my RD…to be able to visually show people how they can make better food choices. 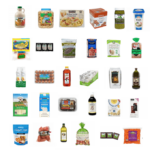 I’m intrigued by the microwave chia jam…I”ll have to try it. This is awesome! I lived in the dorms for two years and sometimes you just get tired of dining hall food! The hardest part is not overeating. My school gave us so many choices and it was all you could eat! Great advice for those currently living in dorms, or even if you aren’t and are new to cooking! this is awesome linz!! I really wish i had this information before going to college way back. Luckily, i studied nutrition and found out myself. Wow, this would have been SO useful to me — those girls are lucky to have had your presentation! These are great solutions and better options than the cereal I lived off of my freshman year. 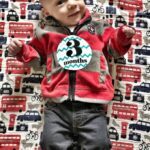 It was after I gained the dreaded freshman 15 that I first started seeking information on nutrition, diet, exercise–anything to help me return to my former shape. Fortunately, this sparked more than just a weight loss effort; I learned the ins and outs of nutrition and found that I really enjoy exercise, so today I’m more healthy and fit than ever before. Such great tips! I also kind of wish our fridge and dorm room was filled with more than easy mac, juice boxes and cheez-its. Then again, my metabolism was COMPLETELY different then than it is now 😉 But at least now I’m eating healthier! Better late than never. These are great tips for young people every where! you put a LOT of thought into this and di a great job. I wish someone had done this for me when I was in college! Great post!!! I had no desire to be “healthy” in college. I wanted to be skinny and have fun… that’s part of the problem most 20 year olds think they’re invincible and can subsist on starbucks, 1 meal a day, and alcohol. I’m so glad I’ve changed my diet b/c I know a lot of my friends haven’t, I wish I had all of the knowledge to make better decisions! What an amazing opportunity! Sounds like you provided some great recipe/meal ideas! I totally wish I would have had that in college–especially the years I was living on campus. My freshman year of college I gained quite a bit of weight–having a daily breakfast of banana bread + a white chocolate mocha probably didn’t do me any favors. lol. Then my sophomore year, my disordered eating habits began. Pretty much all over the board in college. Lindsay – this is fantastic. It can totally apply to any busy person or a person with a small kitchen. Great job! I had a hard time in college healthwise – so many temptations, such a messed up schedule – lots of fast food and partying. Great post for those stuck in dorms. I wasn’t super aware of nutrition in college, I ate healthier than my friends for sure but I didn’t know what I was doing like now. I didn’t live on campus but always brought my lunch since I’d been doing that since kindergarten 🙂 I think there’s a big difference even since when I was in college to now where universities really try to make healthier options a priority on campus. I wish we could do it for the little kids more but at least it seems like it’s catching on somewhere. loved this post, especially because i’m heading off to college next year! only bummer is, the place i’m hoping to go doesn’t allow any sort of appliance in your dorm room except for the fridge & microwave that they approve. guess i’m going to have to get creative! i’m hoping to get the meal plan with the fewest meals and then make the rest of the meals myself – most likely i’ll be making breakfast. my diet was ok in college. i definitely had my fair share of late night quesadillas or hungover greasy breakfast burritos, but for most breakfast, lunches, and dinners, i took advantage of the salad station or stir-fry station in our food court to customize my own veggie-filled meals! LOVE this!! Such a great message to be sending to college girls all over — it’s like an epidemic, I swear – so many women in college go into it having no clue how to eat properly and end up gaining the freshman 15 and then some. It’s sad, really. I have to say — I sort of fell into that camp a little bit, though I was at least working out then, I definitely wasn’t eating well (as in wholesome, real, fueling foods). I have learned SO MUCH since that time – and really wish I had someone like you over my shoulder back then to set me straight. 😉 Great post! It would be great if new college students had these guidelines! I did not eat well at all in college. 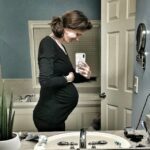 Small budget… No restrictions… Drinking… Lots of weight gain!! I spent LOTS of time in the dining halls freshman and sophomore year. Luckily the salad bar was respectable! I don’t think I got any knives or cutting boards until I moved into my first apartment, and I didn’t really cook all that much until I got married. haha I guess it’s a good thing I’ve always been good about haphazardly slapping healthy stuff together. this is awesome! i wish i had someone like you come in to talk to me about eating healthy in college my freshman year. 🙂 my college diet varied a lot throughout the four years. let’s just say it’s improved a LOT since then, thank goodness! Love this!!! I totally wish I would have had this in college. Although, I will say I think I did a fairly decent job- at least better than a lot of other people haha. Plus, Miami was great because they had so many healthy options to chose from! The first semester of college, my diet was poor. Then my second semester is when I decided it was time to get healthy (I was also at my heighest weight ever at this point). So I started making healthy switches (grilled chicken instead of chicken tenders; less salad dressing, more lettuce; etc.). Since we had an a la carte meal plan at Baldwin-Wallace, I had to pay for everything thing I ate, so the want to spend less money also helped. Don’t worry, I didn’t go poor or hungry, but I did lose weight with little switches! wonderful tips!! I remember the days of “eating” clean in college. I think every year my diet changed, haha. LOVE THIS POST 🙂 🙂 thank you do much for coming in, we had so much fun! Andddddddd we printed out the recipe and got all the ingredients for the no bake granola bars to make so we can snack on it on the way to Florida 🙂 thanks again for everything!!! LOVE THIS, Lindsay! Looks like it was a success. I’m so happy for you and so happy that I could be of help. You’re such a rock star!!!! How did I miss this post? Such a good one! Wow, wish I knew about this when I was in my undergrad. I worked full time and it was whatever I could find between classes, working, studying, and sleep. I didn’t really get on a healthy eating plan and changing my life until nearly the end of graduate school. Love these recipes you taught these college girls. Its too bird they don’t have something like this in a program for dorm living students. This is great! Bookmarking it! I’d be careful with boiling eggs in the microwave. Personal experience with this, egg shells explode in microwaves. Otherwise, great list of suggestions! 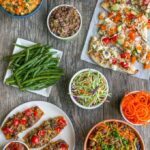 Great stuff, I think more students should eat like this! Thanks for the great post! This is so helpful! My main problem in college was having very little cooking experience and not having any simple recipes! I ate pretty well in college (except for my first year in dorms, food was awful and I lived off nut butter) because I love to cook, but I have no idea how I would have survived without a food processor! I had oatmeal or granola every morning, and dips and soups that I could quickly whip up thanks to my blender and food processor were serious lifesavers. 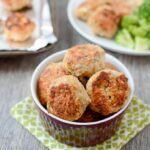 These are awesome ideas and easy to prepare perfect for college students that mostly have a busy schedule and no time to cook. Thank you for sharing this one. [WORDPRESS HASHCASH] The comment’s server IP (184.168.152.211) doesn’t match the comment’s URL host IP (184.168.61.1) and so is spam. [WORDPRESS HASHCASH] The comment’s server IP (192.254.250.174) doesn’t match the comment’s URL host IP (192.185.225.32) and so is spam. [WORDPRESS HASHCASH] The comment’s server IP (66.45.180.23) doesn’t match the comment’s URL host IP (143.95.128.164) and so is spam. [WORDPRESS HASHCASH] The comment’s server IP (65.99.237.188) doesn’t match the comment’s URL host IP (143.95.42.79) and so is spam. [WORDPRESS HASHCASH] The comment’s server IP (23.254.131.148) doesn’t match the comment’s URL host IP (104.28.21.104) and so is spam. [WORDPRESS HASHCASH] The comment’s server IP (208.113.198.236) doesn’t match the comment’s URL host IP (208.113.196.47) and so is spam. [WORDPRESS HASHCASH] The comment’s server IP (192.0.82.191) doesn’t match the comment’s URL host IP (192.0.78.12) and so is spam.